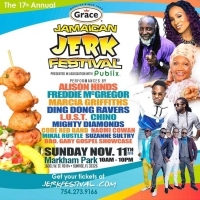 Jerk refers to a traditional Jamaican method of seasoning and cooking meats, vegetables or tofu. 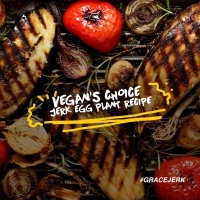 Rooted in ingredients from Jamaica’s fertile green landscape, jerk consists of an exotic blend of scallions, onions, scotch bonnet peppers, salt, thyme, allspice, black pepper and many other spices. 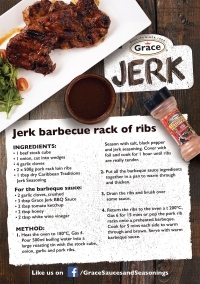 Savoury, fragrant, and tenaciously spicy, jerk is a must have for that burst of flavour and a touch of heat. 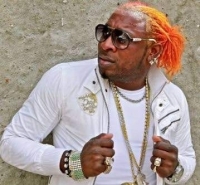 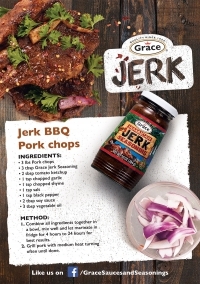 In the 1700’s, a group of Africans who became known as Maroons combined African meat cooking techniques with a mix of Jamaican spices. 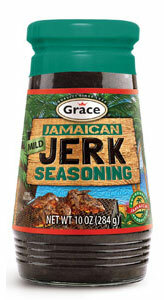 for dried meat or the practice of jerking (poking) holes in meat to fill with spices prior to cooking. 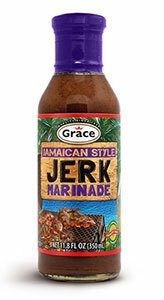 Brush both sides of the meat with this sweeter jerk sauce during the last 5-6 minutes of cooking. 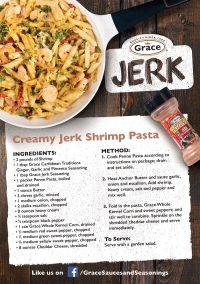 It can also be added to casseroles, stews or stir fry dishes. 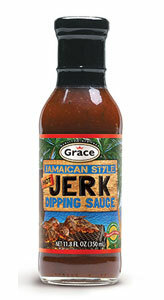 The sauce can be used as a condiment or as a dip. 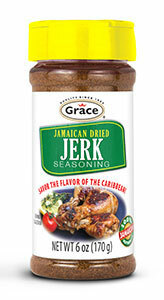 Sprinkle this dry seasoning over meat before roasting, baking or grilling for that added zest. 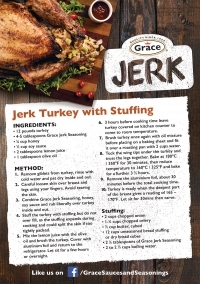 Add to stuffing, gravy, sauces and marinades for an enhanced flavour. 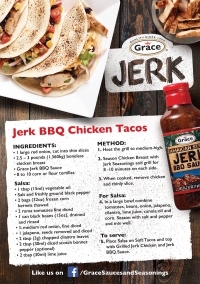 Easy and fast, all in one jerk. 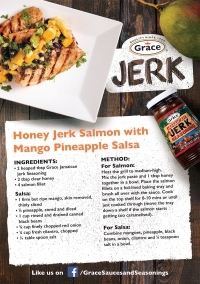 Simply mix into your raw meat, marinate for at least one hour and you're ready to cook in an oven, on the grill or stove top. 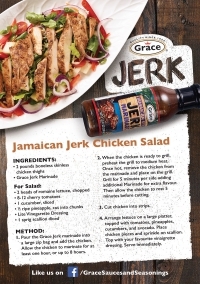 Grace Hot Jerk Seasoning is a special blend of herbs and spices - featuring Jamaican's own hot country pepper and Scotch Bonnet peppers, blended with famous Jamaican pimento for authentic Caribbean flavour. 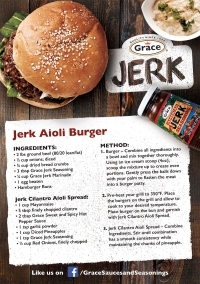 Simply rub it into meats or fish, marinade according to label directions, then bake or grill for a one of a kind taste experience that transforms meat into a gourmet delight. 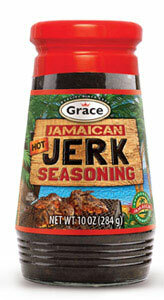 (11 oz.). 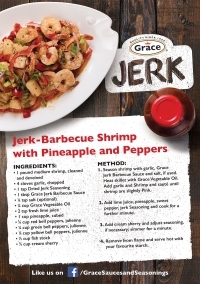 Spice up your meal with our authentic Grace Jerk Dipping Sauce.